Is a civil lawyer and consumer advocate who has litigated hundreds of personal injury cases and disability claims cases. Roger A. "Skip" Ritchie, Jr. practices primarily in the area of automobile and tractor trailer collisions, product liability, and social security disability law. Skip grew up in Virginia's Shenandoah Valley and attended Spotswood High School. He graduated from the University of Virginia in 1991, where he received a Bachelor of Arts degree in history and was a member of Pi Kappa Alpha. He received his law degree from California Western School of Law in San Diego, Calif.
Roger A. "Skip" Ritchie, Jr. has been in practice since 1996, focusing his practice exclusively in representation of the seriously injured and ill. 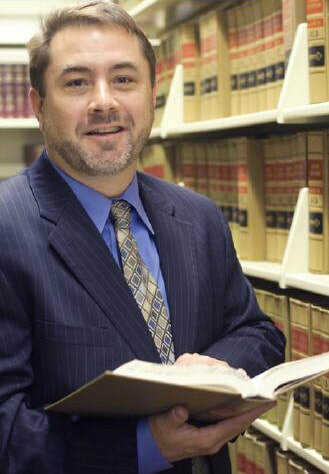 Currently, his concentration has evolved into limited and specialized areas of the law, in particular personal injury cases involving wrongful death, auto and tractor trailer collisions, products liability, and Social Security disability claims. Skip has concentrated his practice in civil litigation involving trial work. He has been a member of the National Organization for Social Security Claimant's Representation, the North American Brain Injury Society, the American Association of Justice, the Virginia Trial Lawyer's Association, and the West Virginia Association of Justice. ​Skip has a long history of church service and volunteerism, including work with the Central Valley Habitat for Humanity Board of Directors, Chair of Harrisonburg-Rockingham Medical/Legal Liaison Committee, and missions to Peru, Africa and Mexico.